A little bit of T'pau seems appropriate.. I've always got time for the '90's! lol tease. Thanks though. This will be fun. OMG, Klax... I've not played that game in over 2 decades. LOL,, That don't even look right a TENGEN game on the Jag! 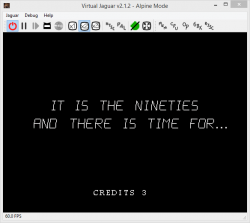 wow!, I hope this'll be an ABS so I can whack it down to disc - I don't yet know when I'll set up a second Jag with skunk at my PC. A rare Jag/Lynx cross-over (in a way). Like Dinolympics. 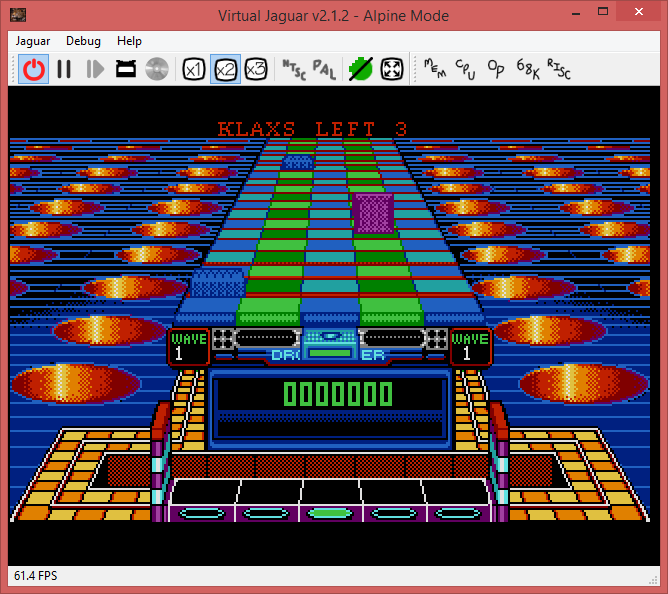 Hey look, ~ 60 fps in VirtualJaguar. AMAZEBALLS. Edited by CyranoJ, Sun Jan 25, 2015 10:43 PM. 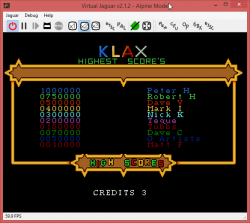 Since I don't have an ST and the Jaguar m68k is twice the speed, are these games twice as fast on the Jaguar? Nope, there are significant overheads. They're about the same speed. Edited by CyranoJ, Sun Jan 25, 2015 11:15 PM. ok well at least it comes out even. Thank you for this CJ. It's awesome playing this on the Jaguar. The controls seems a little touchy. Might just be me though. If only there was an ST version of Hero. I think the Jag needs another shmup to mix things up. How about the ST port of R-Type? Edited by Austin, Mon Jan 26, 2015 5:09 AM. 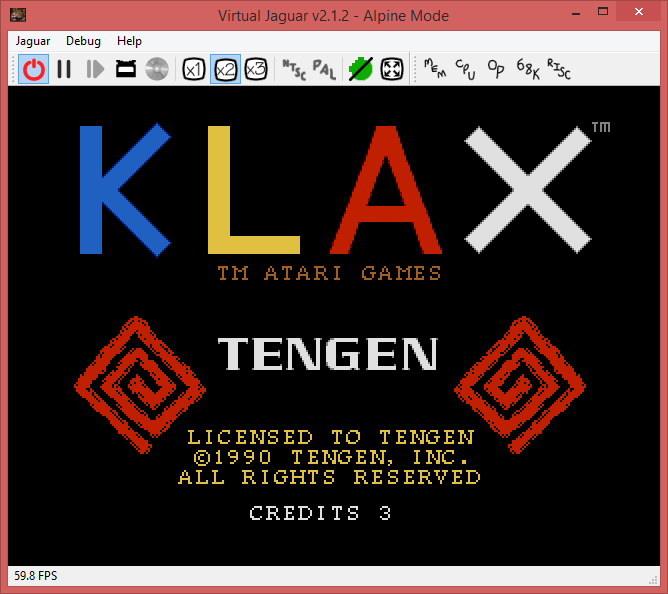 I've just tried KLAX Awesome work, CyranoJ! 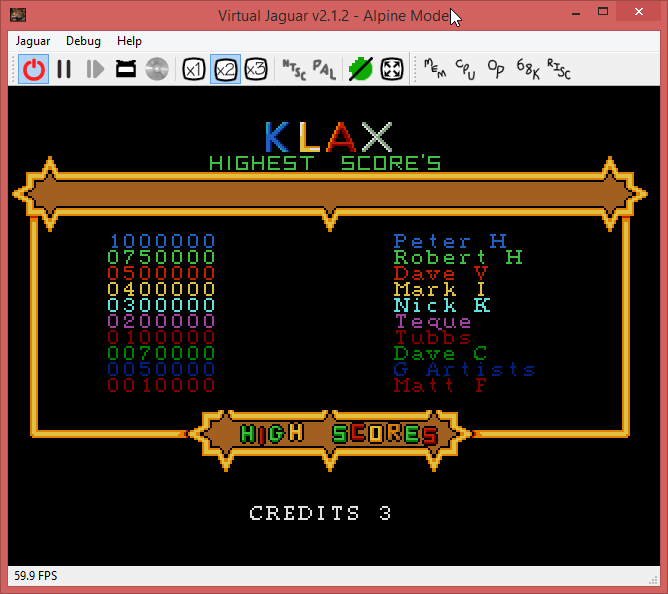 Pah, still not as good as a polygonal KLAX, even if that one lacks the flipping of the tiles. Is this one faster/harder than the Lynx version? Those tiles are flying!! I think he might have said the game is running away with itself at the moment. Worth waiting for revisions before burning it to coaster?